"On March 11, it was good conditions for satellite observations of algal blooms in the North Sea. 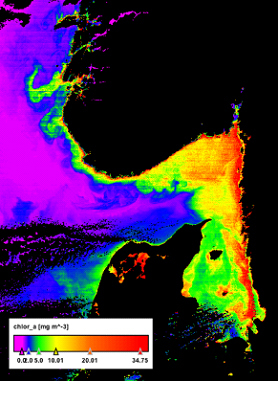 Picture suggests high chlorophyll concentrations along the Swedish west coast. Satellite image from NASA's MODIS Aqua, processed by SMHI. 's Black Cloud or country." Got a chance yesterday to go out to the west coast and after raking plankton. Now today on my biology lesson, we will analyze the algae we got hold of. It seemed clear to me that there were a lot of different "particles" in the water. It also seemed I got some water fleas / small crustaceans as well. 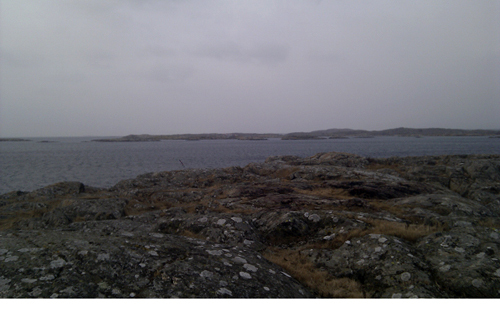 At the tip of Klädesholmen we see the rounded rocks. The ice sheet during the ice age did a masterly work.